The time-honored tradition of a wedding celebration deserves nothing less than beautiful. Celebrity party planner, Colin Cowie, combines timeless elegance with modern vision in this gorgeous collection of wedding invitations. Each design is a masterful combination of complementary colors and impressive design elements. 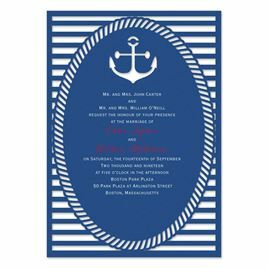 Luxury wedding invitations by Colin Cowie satisfy the desire to impress while still capturing the very essence of a couple's wedding style. 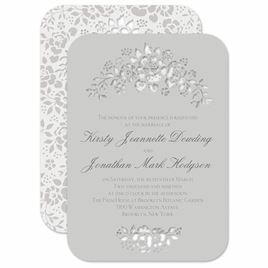 Enjoy a variety of specialty printing techniques on the finest papers as well as choice accents to complement each design. 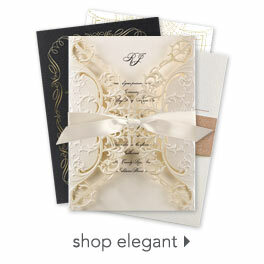 Several of the invitations within this collection feature the fine art of letterpress printing. 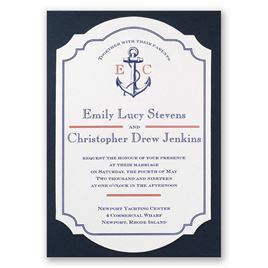 If you would like to see more letterpress, see our entire selection of letterpress wedding invitations.